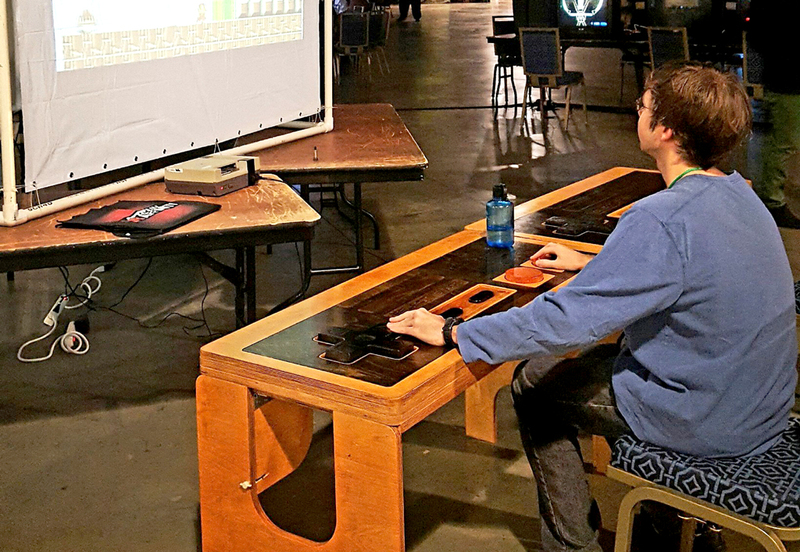 These giant controllers are made from beautiful stained baltic birch wood and are fully functional! All of the buttons are compatible with your existing game system and make this table not just a work of art, but an entertainment centerpiece! 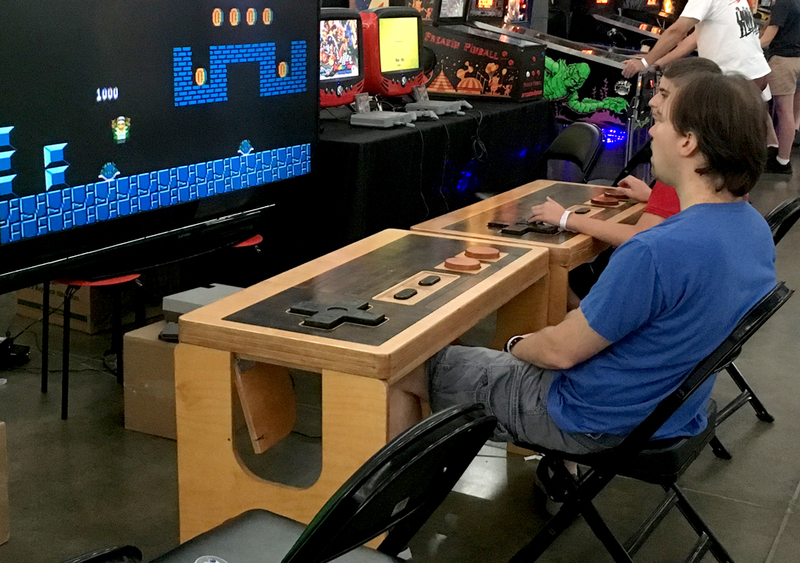 Currently, the design of these tables are inspired by (and compatible with) the Nintendo Entertainment System™* (NES), the NES Classic™*, or standard USB (please specify which model you require). You may also choose a stain color and type of wood! Other designs will be available in the future, but can be special ordered NOW by request (at additional cost). 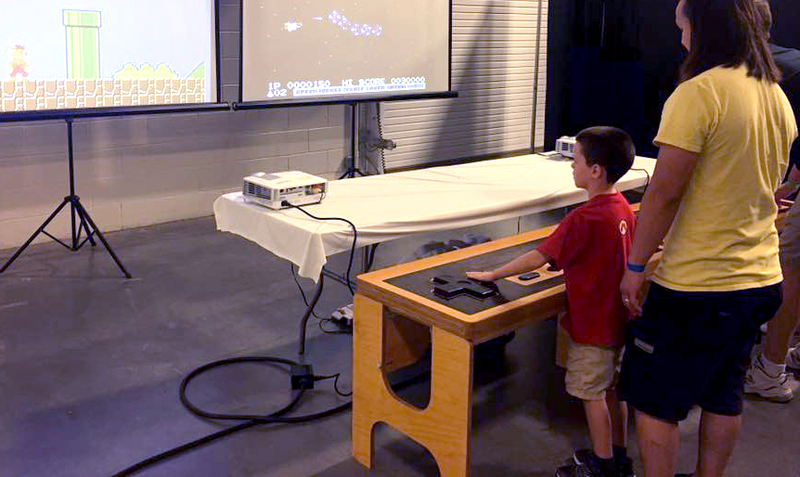 *These controller tables are not products of, nor licensed by Nintendo or any company other than Unit-e Technologies. Nintendo logo art is blurred in these pictures of the original protoype units and is not present on current models. 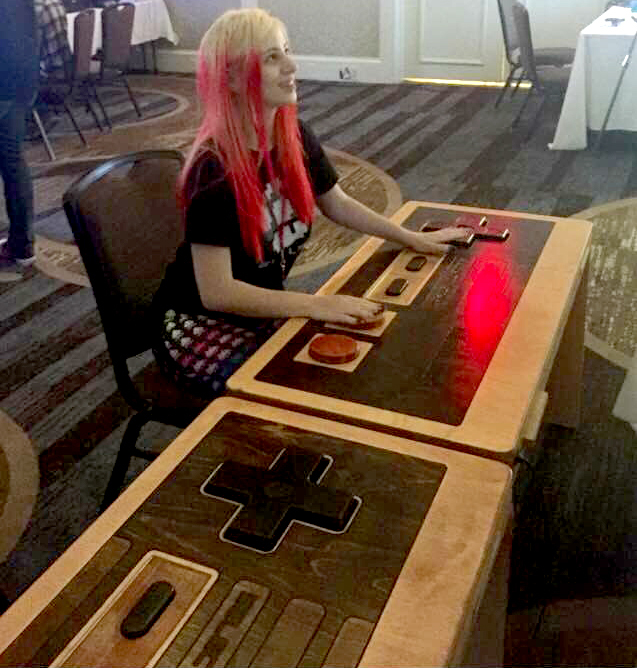 As seen at MAGFest, MAGLabs, Smashcon, and ReplayFX!